How did this pass everyone by? It seems to have gotten no press yet the eldest from Malcolm in the Middle, Christopher Matheson (aka Francis) is the star. I'm seriously wondering if someone with a large comedic value can pull this role off, and unfortunately the trailer is no help in discerning this. The vision is somewhat 1920's to 1950's color-blinding with a hint of film noir. Christopher plays an inventor who quite literally.. loses his marbles. Like you've probably guessed, it's stunning, lets hope it's as good as it looks. Originally titled Intellectual Property, I'm guessing the distributor changed the name to Dark Minds for it's December 4th DVD release. Too many good films which hit the festival circuit just disappear or go nowhere.. so much talent, so many films that deserve to be watched, it's sad. At least we ain't losing this one. "Paul, an optimistic inventor, turns into a recluse after facing a brutal betrayal. Convinced that Russians are spying on him, he struggles to protect his greatest invention: The Cube. When an accident thrusts him into the spotlight, his sense of reality is threatened and his world becomes twisted beyond recognition." 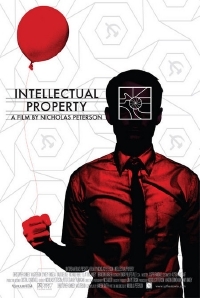 ironic that a film originally entitled 'intellectual property' steals it's tag line from the x-files. We're getting a screener courtesy of Echo Bridge.. They also said that Masterson actually does a pretty good job in his role.. We'll have a review up before it comes out. Strange film, give it a try. I only wish it was a bit longer.